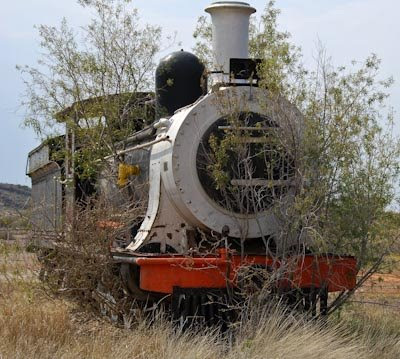 Now this is one of the saddest engines we have seen ourselves - I know there are others in even worse state on this blog, but I have not seen them personally. 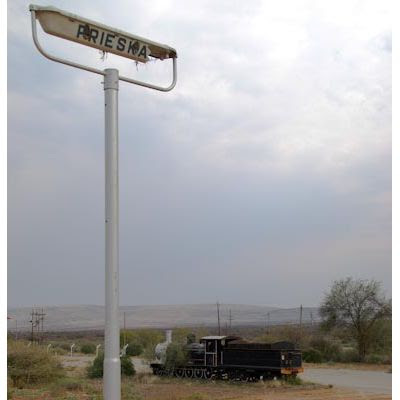 We visited Prieska station on 20 August 2008. 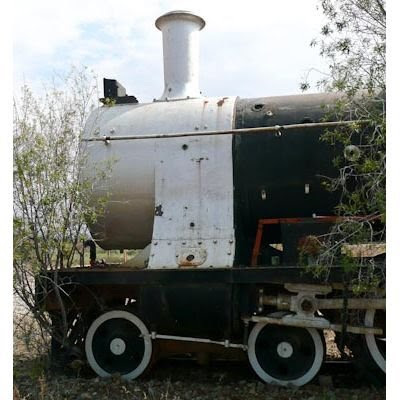 The sparrows found a perfect nesting place in "Prieska"
We were very sad and distressed to see the state of this locomotive. 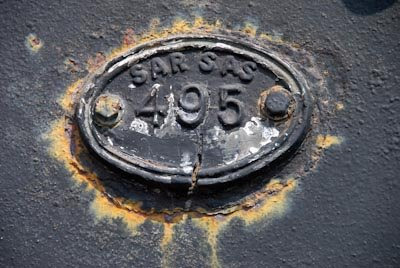 The tender has the number SAR 495 which once would have belonged to a Class 6B engine. 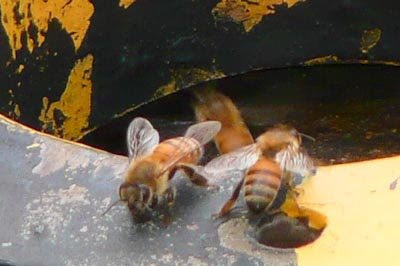 These bees found a cosy home in the firebox. Built in 1901 by Neilson, Reid and Co as builder's works no. 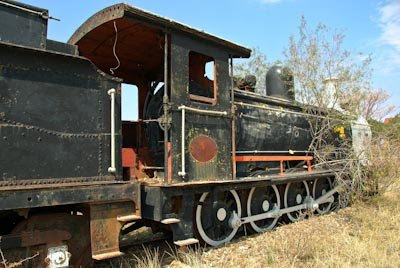 6082. 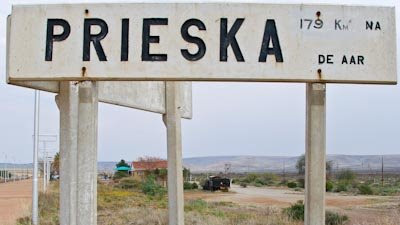 The Train to Prieska got stuck in a bush! Will someone please get her out!!! 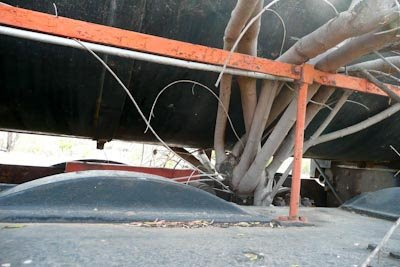 The boiler plate - last Cert. Expired Sept 1971. 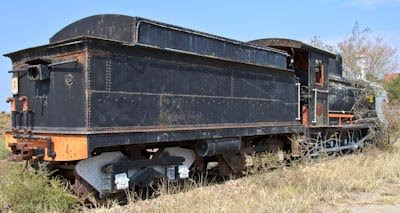 The Class 7 engines were the main goods locomotives for the last 20 years of the Cape Government Railways (CGR), the design prepared in 1890 by H.M. Beatty. 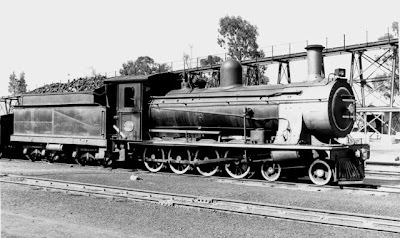 38 engines delivered in 1892-3 became SAR Class 7, a second batch of 26 delivered between 1896 and 1901 became Class 7A. 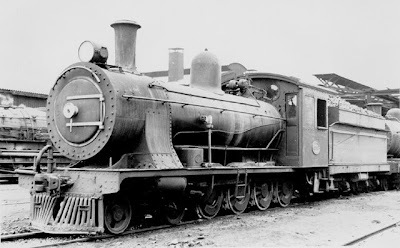 Another 25 engines with a larger cab delivered in 1900 became Class 7C. 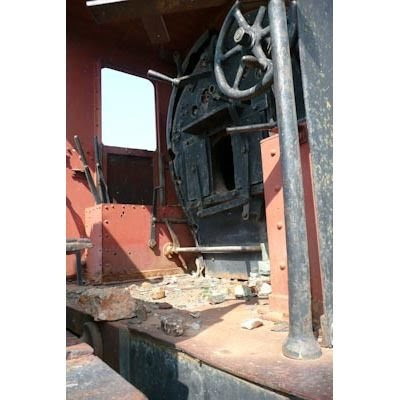 The final order of the 7th Class by the CGR were 10 engines delivered from Neilson, Reid and Co in 1902. 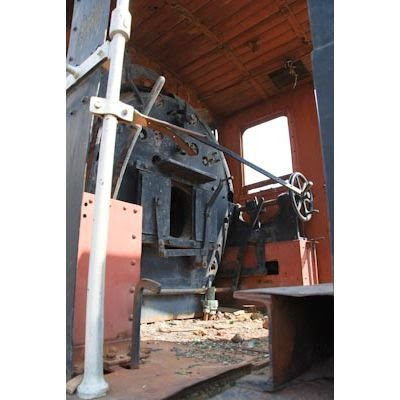 Fitted with larger boilers, the power was improved by increasing the cylinder diameter. 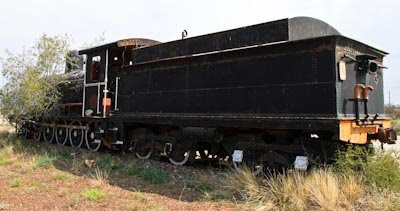 Yhey also had large cabs similar to the CSAR engines. 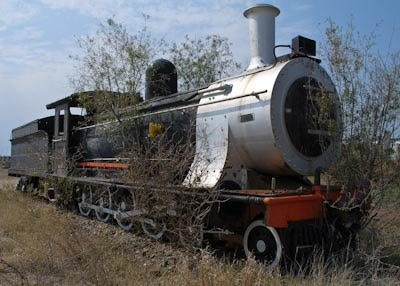 Under the SAR these engines were classified as Class 7C.